You have heard of Marco Polo and the mythical Scythian warrior nomads of the Eurasian steppe, and you are likely aware of stories of ancient Central Asian empires, lost in the desert sands. The prehistory of the western half of the Asian continent is so deeply intertwined with fictional stories that few people in Europe or East Asia know the true history of the peoples that occupied this region in the past. While these peoples have been overlooked by history, they left a profound impact on the modern world and the legacy of Central Asia’s past is seen all around us today. 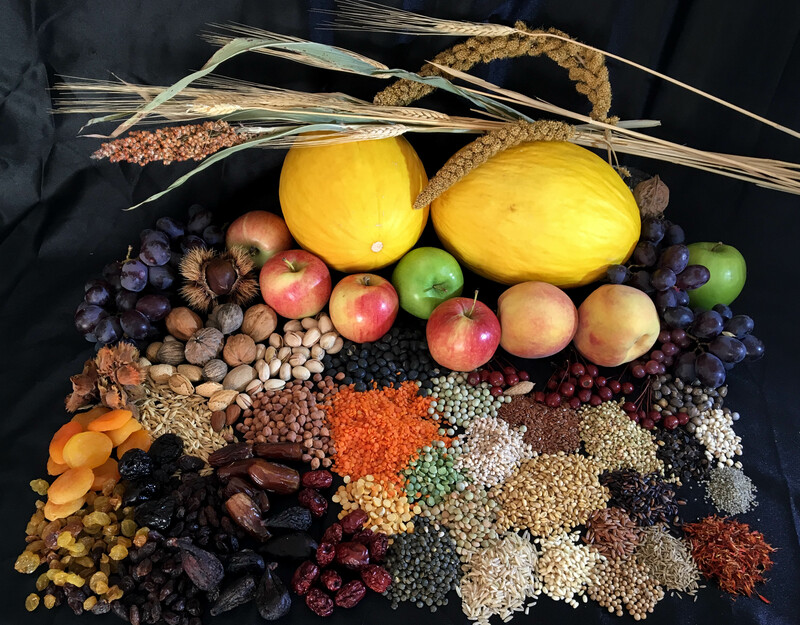 Exploring this legacy, Dr. Spengler focuses on how the ancient exchange routes through Central Asia directly shaped the foods that you eat today and the ingredients in your kitchen. Many of the most familiar grains, fruits, legumes, and nuts that we eat today spread through Central Asia in antiquity. In the book Fruit from the Sands, I tell the story of how their plants crossed two continents and ended up on your dinner table. Many people think of the great Silk Road as a mirage in the shifting sands of time; however, the ideas and goods that once moved across Eurasia directed the course of human history. Merchant caravans, passing through the mountain valleys and desert oases of Central Asia, directly shaped aspects of culinary traditions across the Old World. Recent archaeological findings have shown that as far back as the third millennium B.C., domesticated crops were diffusing across two continents. This process of ancient globalization led to a diversification of culinary traditions in Asia, Europe, and North Africa. In this book, Dr. Spengler presents first-hand research conducted at over a dozen archaeological sites spread out from Mongolia to Pakistan. He shows that, over the past two millennia, the trade routes of the Silk Road brought almonds, apples, apricots, peaches, pistachios, rice, and a wide variety of other foods to European kitchens. In Fruit from the Sands, Dr. Spengler brings together scholarly sources from across the biological and social sciences, pulling on information from archaeology, biology, Classics, Sinology, ethnohistory, and history. He presents the fascinating story of the origins and spread of agriculture across Inner Asia and into Europe and explores the spread of domesticated plants along the historical Silk Road. In following camel caravans across the desert sands of the Kara Kum, Taklimakan, and Gobi, this book lays out numerous untold stories relating to humanity’s greatest accomplishment: the domestication and spread of the food we eat today. This book represents a story pieced together while working in laboratories in Europe and America and digging through the sediments of the past in Asia. Dr. Spengler spent over a decade compiling these chapters and built the story in collaboration with scholars from Kazakhstan, Uzbekistan, and Turkmenistan, as well as many European, East Asian, and American colleagues. The book also draws on a deep and rich Soviet scientific legacy of scholarship. Spengler’s years of experience working in Central Asia have helped him gain access to archives, archaeological sites, and comparative collections that are not accessible to most people. Fruit from the Sands represents the culmination of all of this research and presents a significant contribution to both history and science, it lays out many new discoveries that have not been synthesized outside of academic journals. 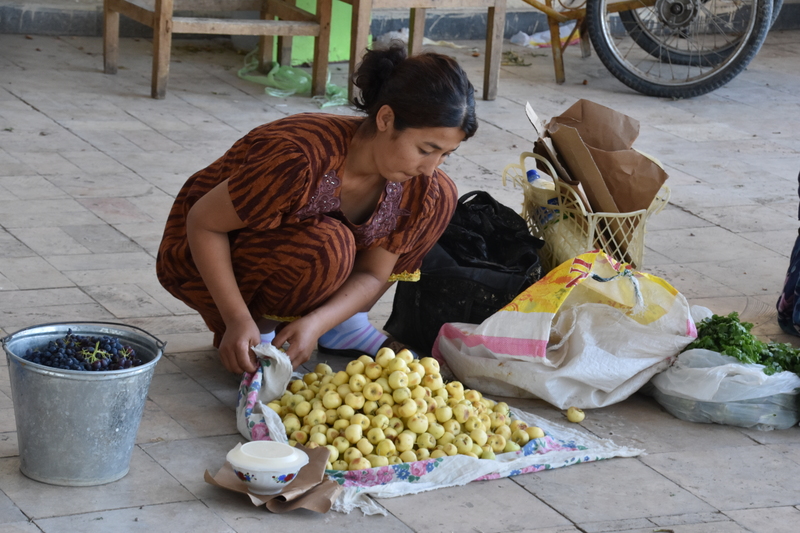 An Uzbek woman collecting her apples for sale at the market. Apples were domesticated along the routes of the Silk Road. The origins for the main wild population of apples is in southeastern Kazakhstan; but the modern apple is a hybrid of several wild apple species, resulting from the spread of the fruit tree along the ancient trade routes. 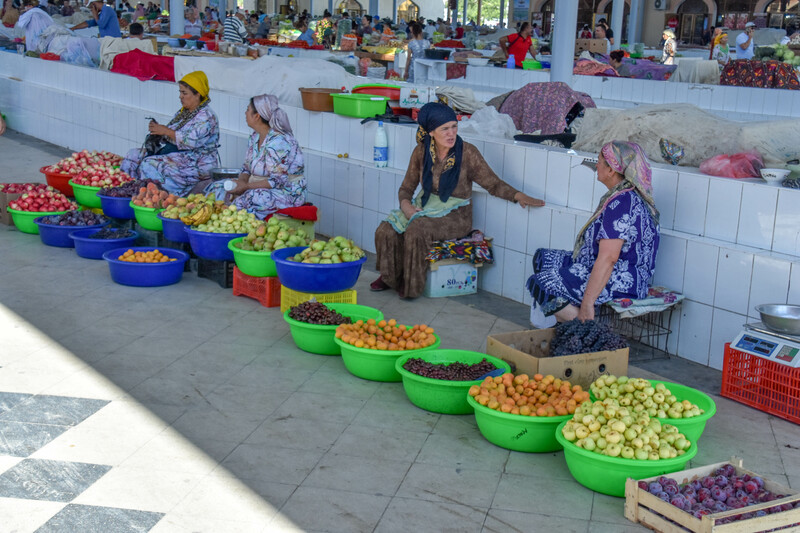 Uzbek and Tajik women selling their fruit at the market bazaar in Bukhara, Uzbekistan. Many of these varieties of fruits have been sold in markets here for thousands of years. 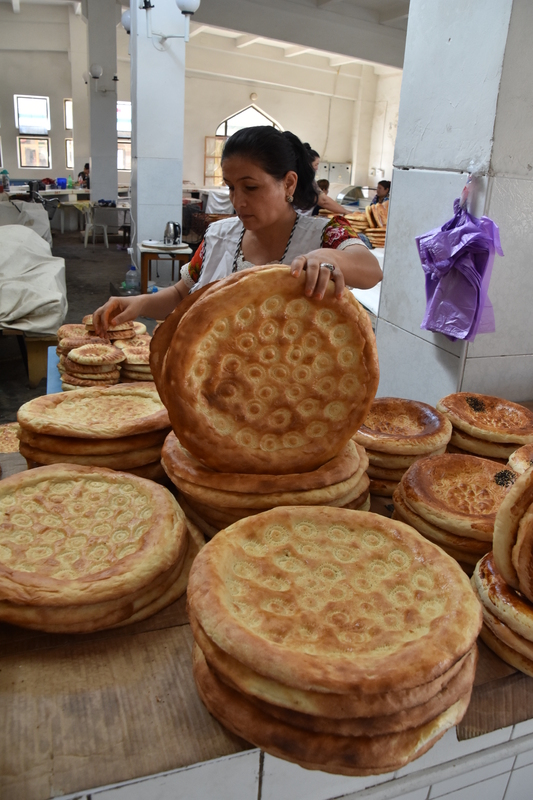 A bread vendor in Bukhara – while many historians depict Central Asia as a land of warrior nomads, in reality, the cuisine for most peoples of today and in the past centers around tandoor-baked bread. 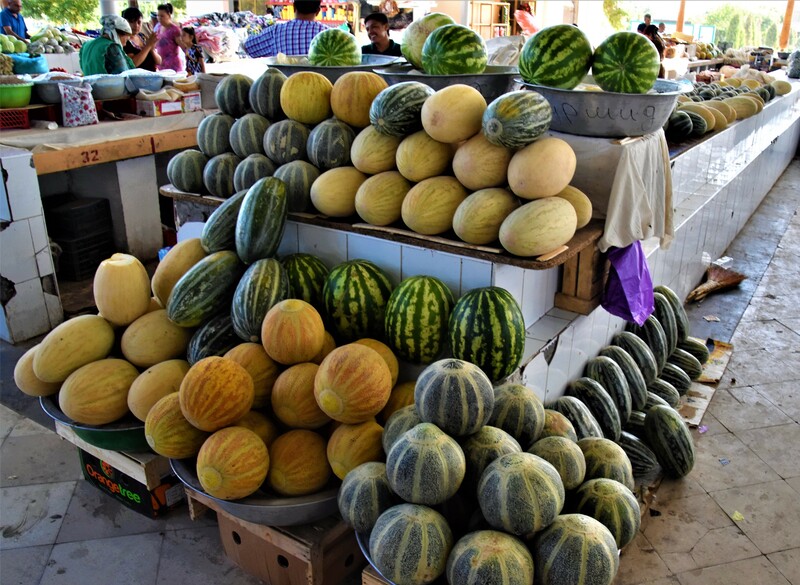 There are thousands of landrace varieties of melons maintained in Central Asia today. These melons are regional sources of pride and farmers or market vendors will pressure you to taste their local varieties, claiming that they produce or sell the best melons in the world.